Y’all, I am so good and consistent at blogging. Here is a dress I finished last summer and photographed almost exactly a year ago. But I still love and wear this dress a ton, so I want to put it up! 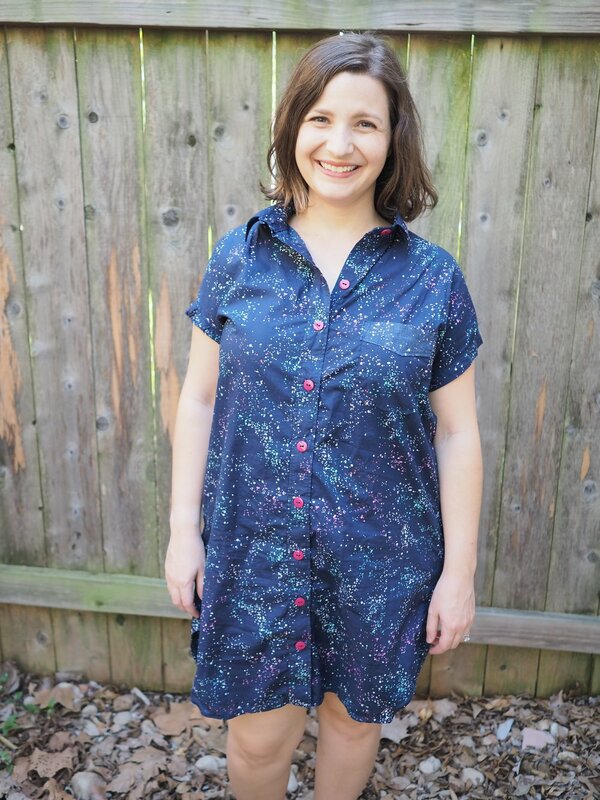 I had made several button up shirts before, but the Kalle was my first shirtdress. I adore them, and this pattern looked so accessible as a first one - the ease meant no fitting changes were necessary, and also make for a gorgeous silhouette. Def wish I had ironed this before taking pictures 🙃I made a straight 10 and am happy with the fit. I’m about 15lbs heavier than when I made it and it still fits well enough that I get complimented on it regularly. The back definitely billows out - I’m not sure if that’s the box pleat or the cotton lawn. I really love how the yoke flows into that sleeve. When I look at my sewing queue it’s clear that this is just the start of a shirtdress obsession. I have, uh, 5 that I have fabric picked out for. 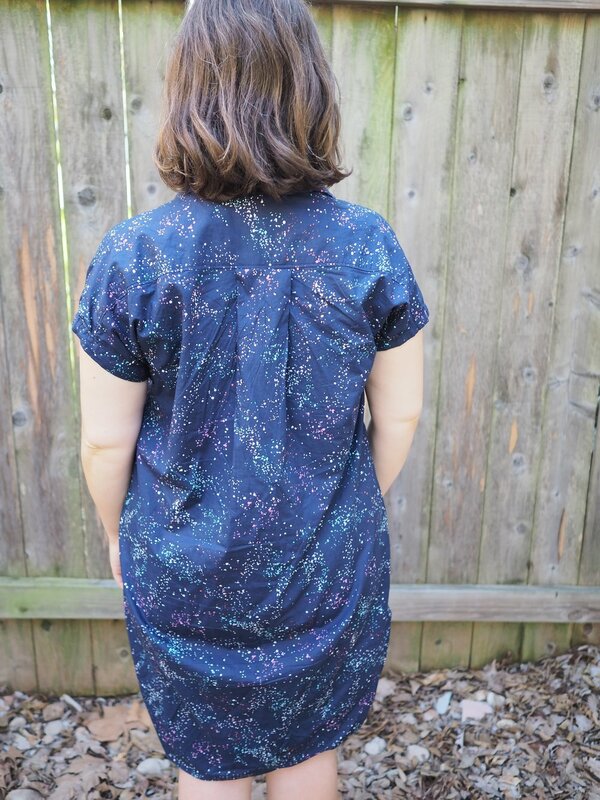 Would y’all be interested in a post about my shirtdress dreams? Do you have a kind of garment you keep coming back to?